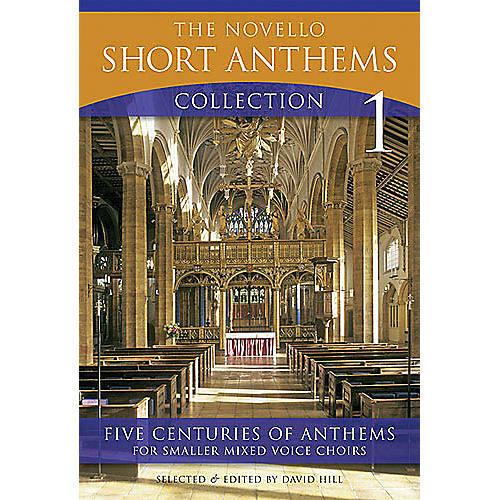 A two-volume collection of short anthems from the Novello Choral Programme, representing five hundred years of church music, all suitable for SATB chorus with Organ. Familiar and long-established works are represented alongside many lesser-known and more recent works by composers such as Douglas Guest, Philip Rose and Ralph Allwood. Many of the pieces are ideal as Introits and Anthems for general church use, whilst other have a more specific intended function within the liturgical calendar. However, all are well suited to both devotional and concert performance. The works here are short, ranging from straight-forward to technically challenging and more exciting. As a whole, the collection features an overwhelming number of choices for choirs of all different sizes and abilities.